Full of drama and 1920s Gatsby statement style, this black and gold hair band is the perfect piece to create showstopping elegance. Dramatic and oozing statement style, our Charming Ebony Hair Band is the epitome of Old Hollywood vintage glamour. 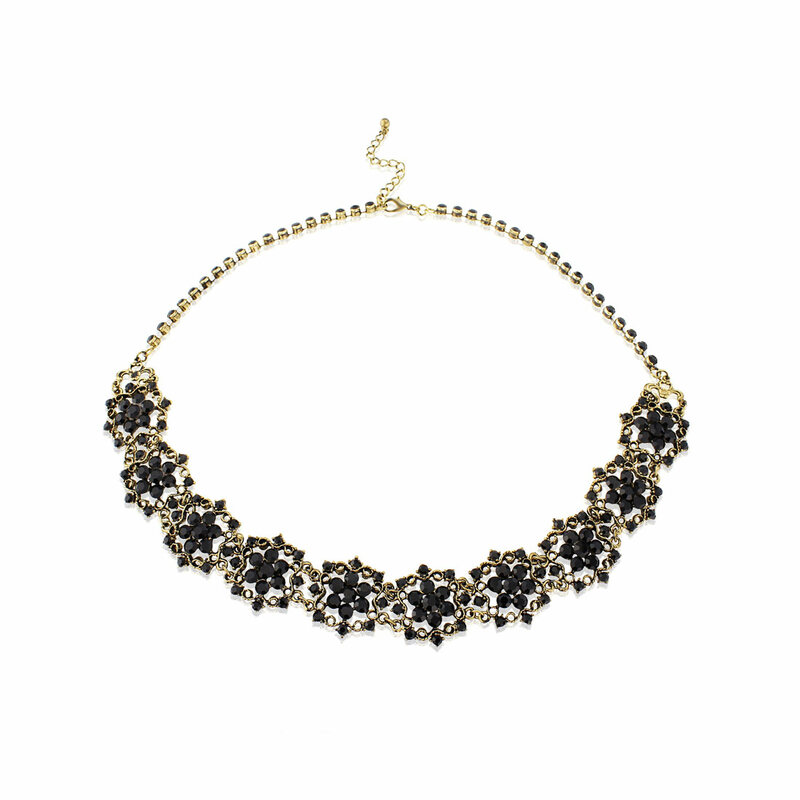 Set on an ornate antique gold tone design, this stunning piece is encrusted with jet crystals with a thin chain of single jet crystals which extends around the head. 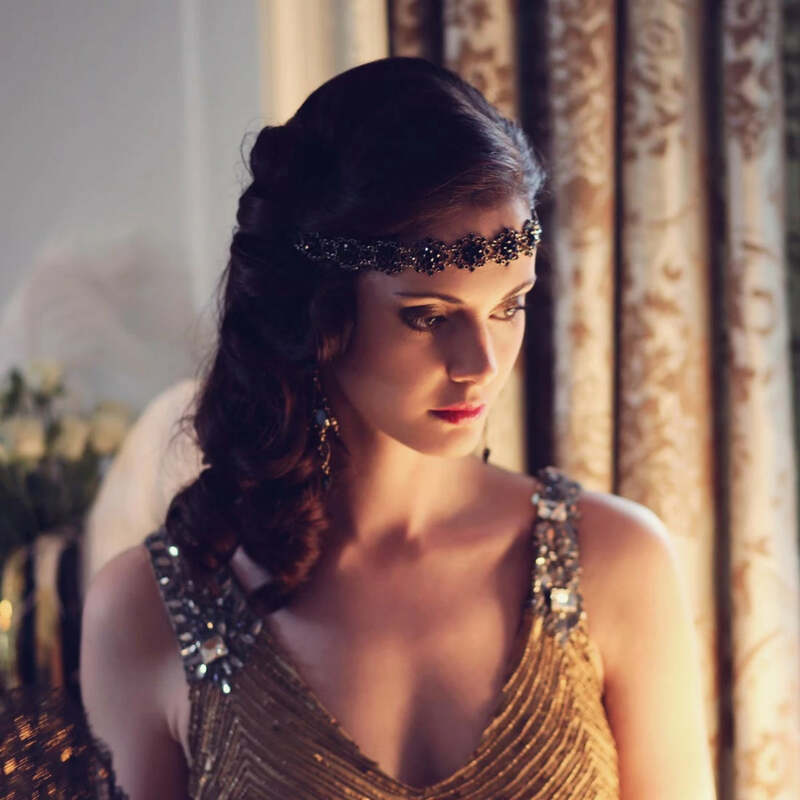 Perfect to create show stopping elegance, this versatile hair accessory looks stunning worn across the forehead for 1920s Flapper girl style. Simply team with a fringed dress and long gloves for a Gatsby themed party. Alternatively, go for gorgeous jet and gilt glamour and play up a stunning black gown with opulence. If you have a monochrome wedding theme or your maids are dressed elegantly in black, our Charming Ebony Hair Band could be the bridesmaid accessory of choice. Classic and full of charm, your guests will swoon over the statement this delightful piece bestows.